"Jungfrau Park is an amusement park located near Interlaken, Switzerland. It opened as the Mystery Park in 2003, and closed in November 2006 due to financial difficulties and low turnout. The park was designed by Erich von Däniken, and consisted of seven pavilions, each of which explored one of several great "mysteries" of the world. 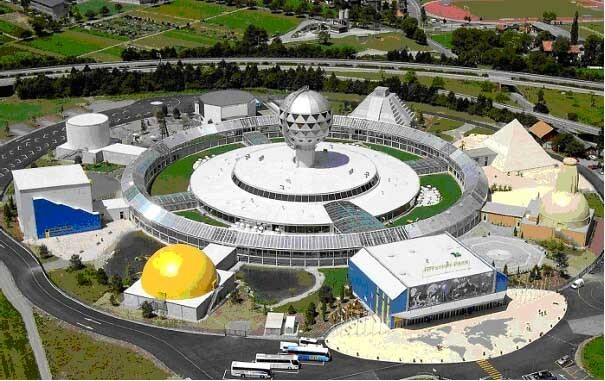 Von Däniken opened the theme park to present his interpretations of unsolved mysteries involving extraterrestrial life that he believes took place around the world."